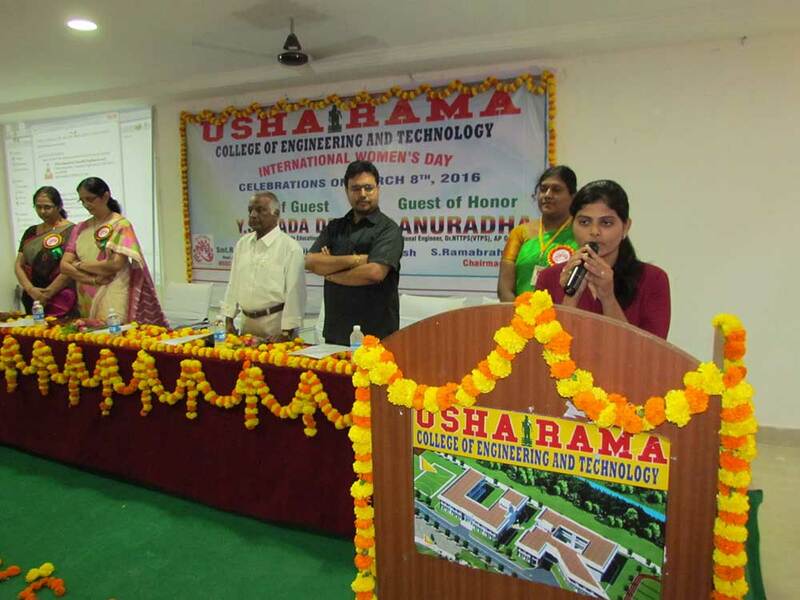 International women's day celebrations were conducted by Women Empowerment & Grievance Cell, Usharama College of Engineering & Technology (WEGC, URCET) on March 8th2016.The programme schedule was as follows. 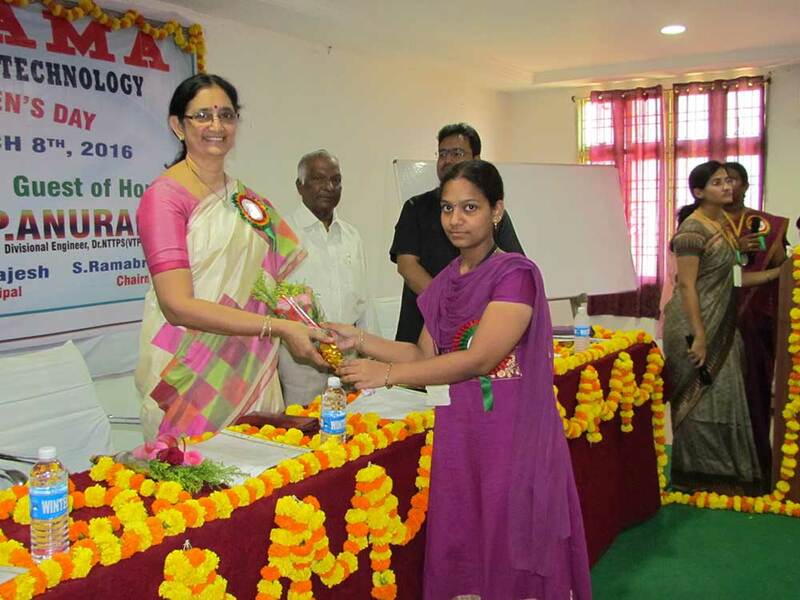 Essay writing & Debate competitions for girls: 4-3-2016. 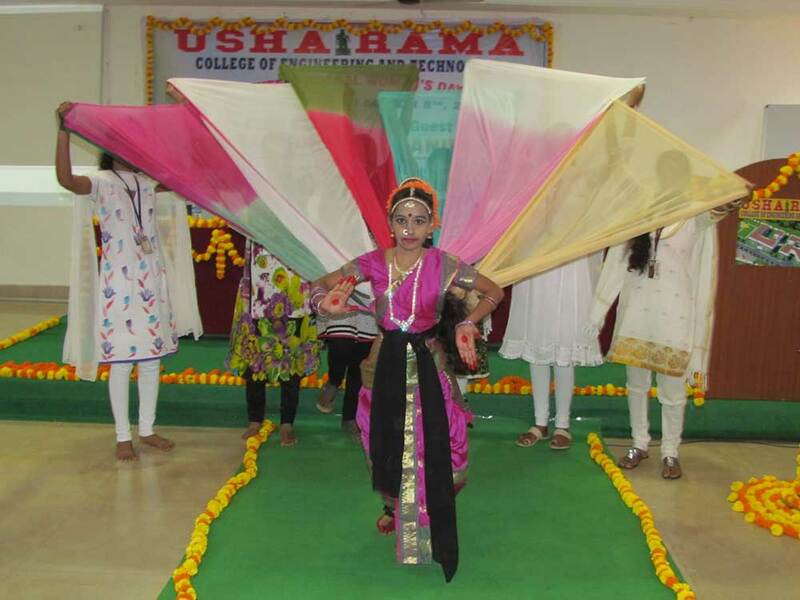 Indoor & outdoor games for girls: 5-3-2016. 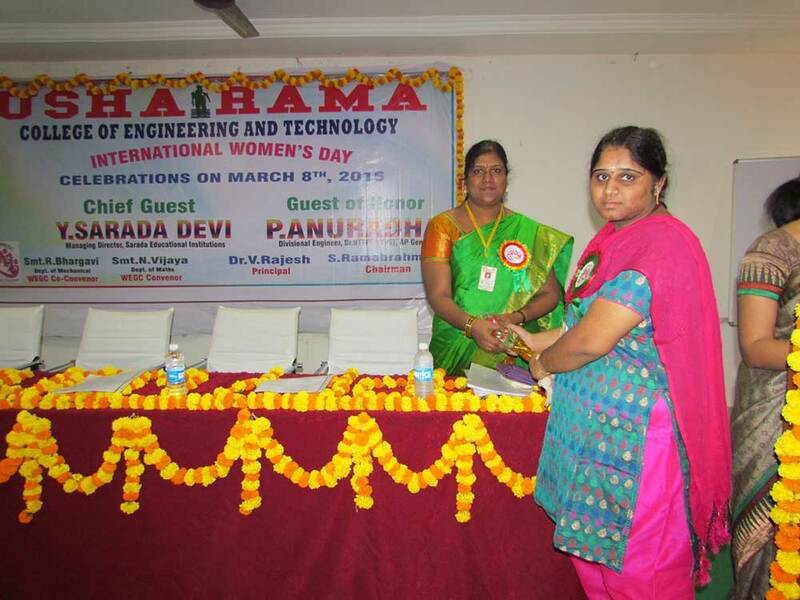 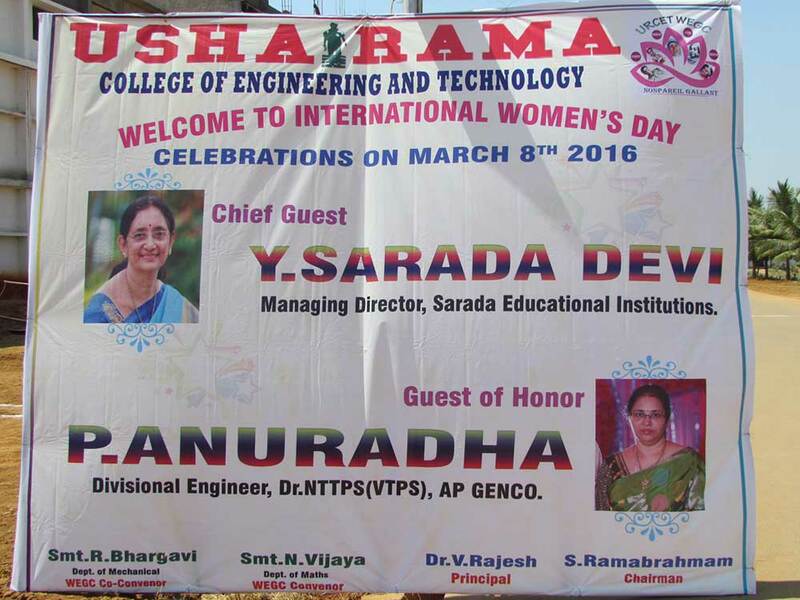 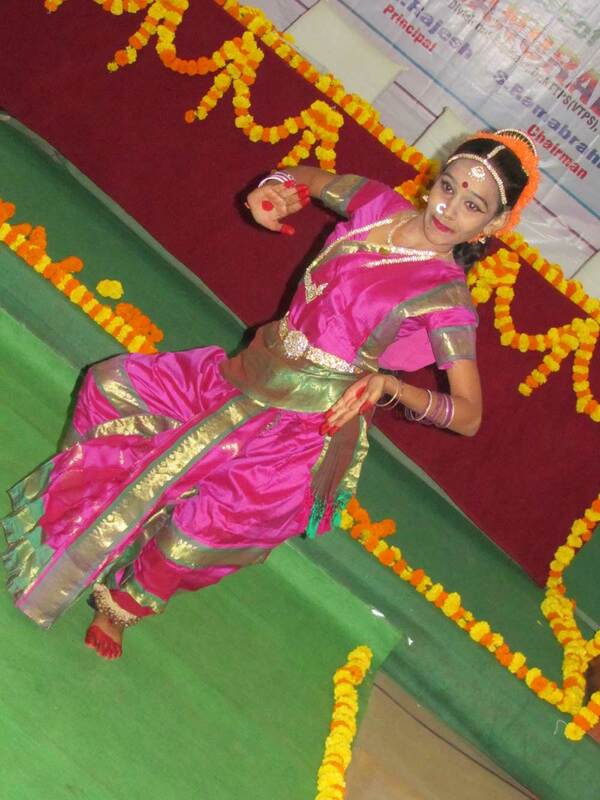 CHIEF GUEST: Smt .Y.Sarada Devi, Director Sarada Educational Institutions. 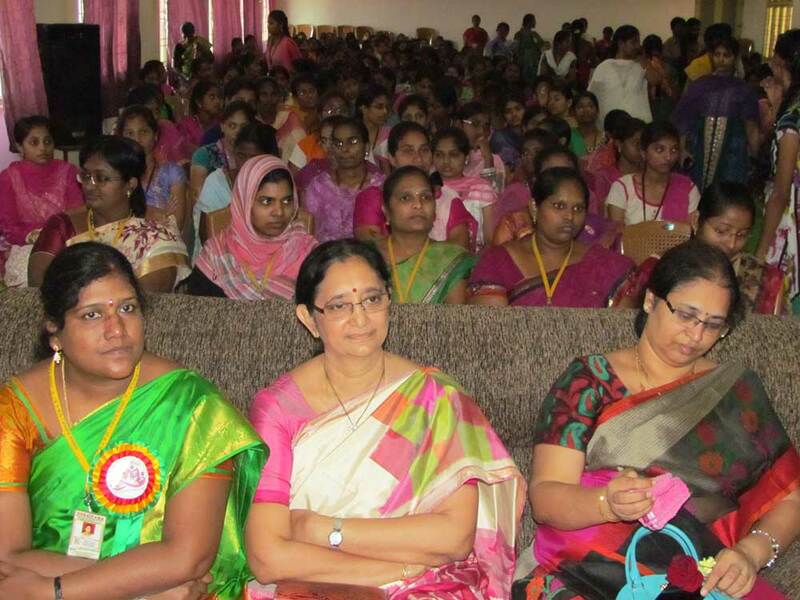 The function is attended by the more than 650 girl students of URCET, all women teaching and non teaching faculty along with the following dignitaries. 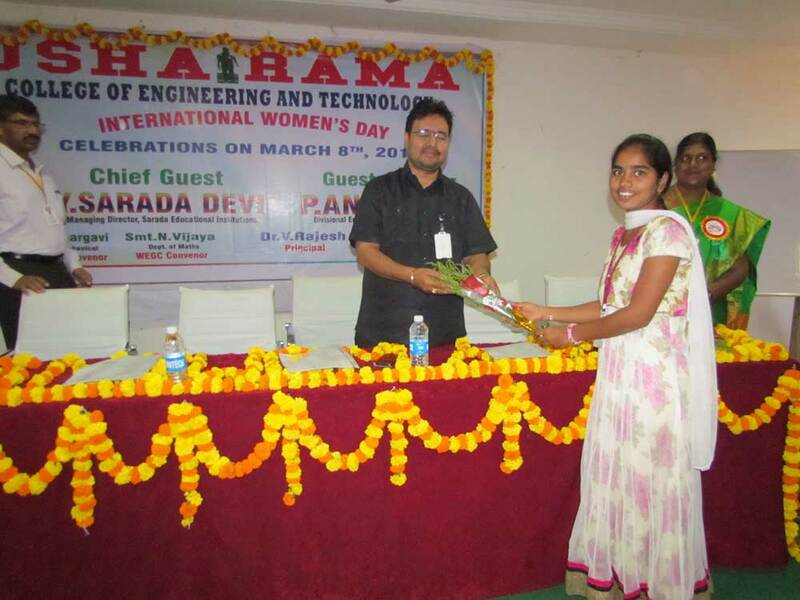 Chief Guest Mrs. Y. Sarada Devi was captivated by her inspirational speech all the way and said that all women must develop confidence and self-discipline in order to get success in their professional and personal life. 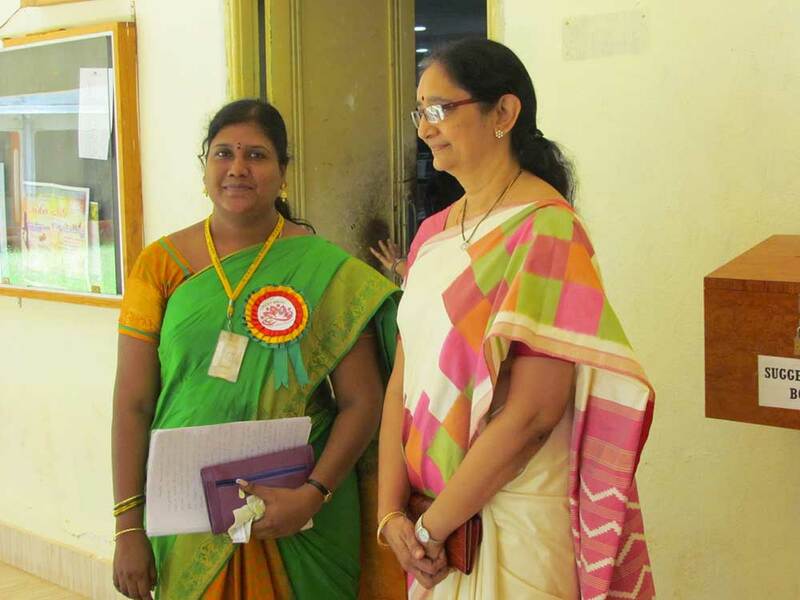 She said that before fighting for the rights every person has to know about the responsibilities toward the society. 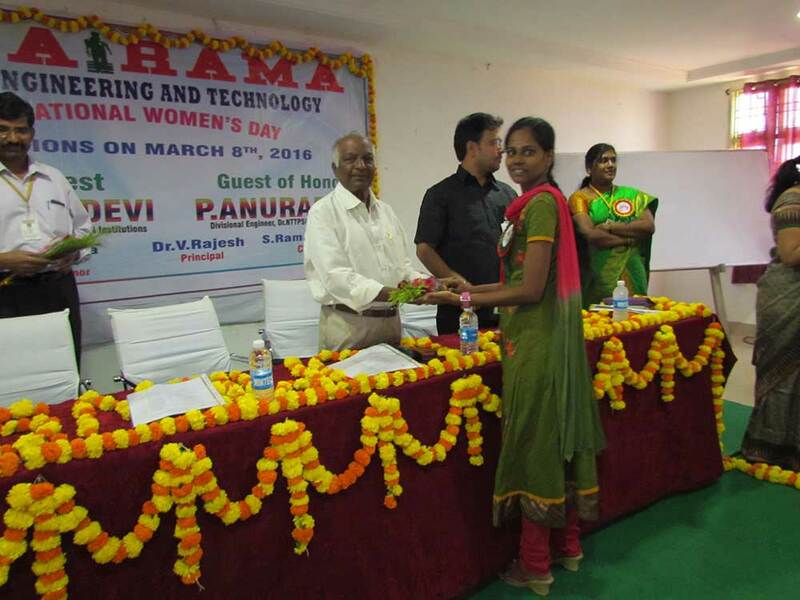 Chief Guest Smt P. Anuradha said that women must develop their special skills to get success in their personal and Professional life rather than comparing with men. 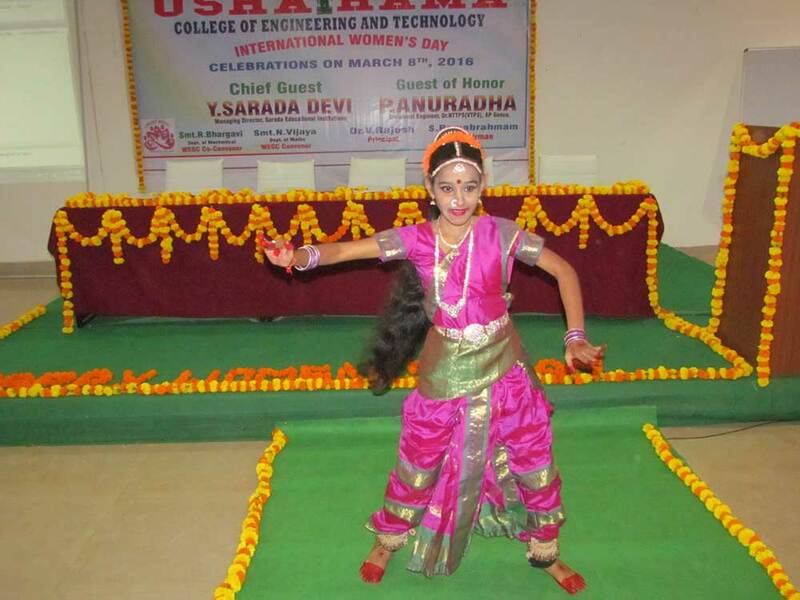 She said that multitasking is special talent to a women they must use it for their career development. 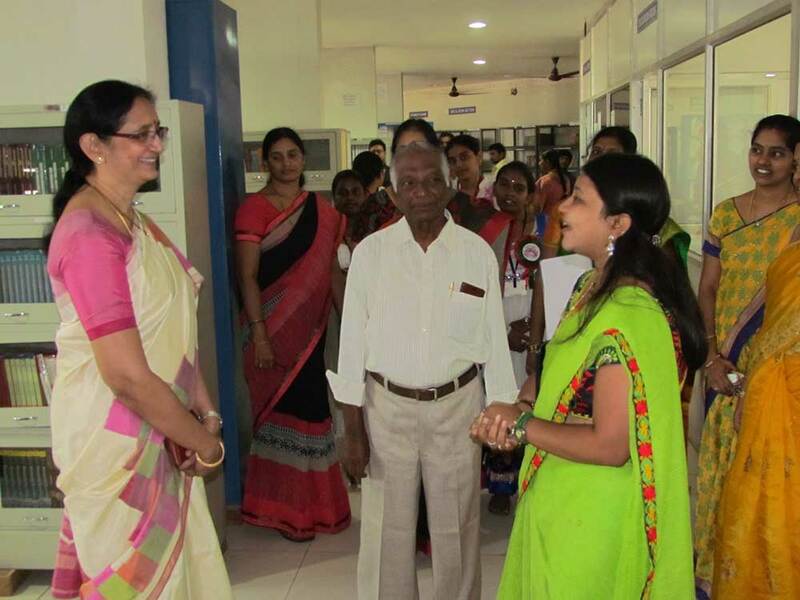 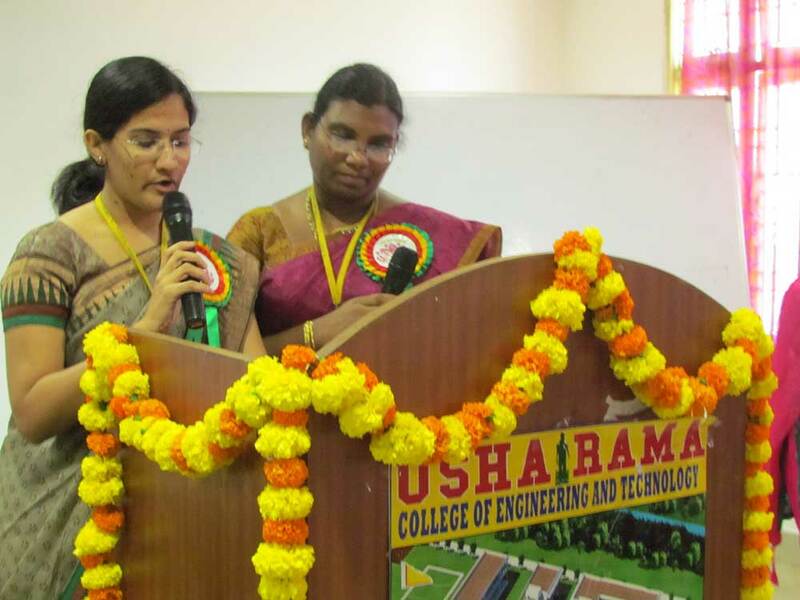 Principal Dr.V.Rajesh said that there is much need of women entrepreneurs for the society. 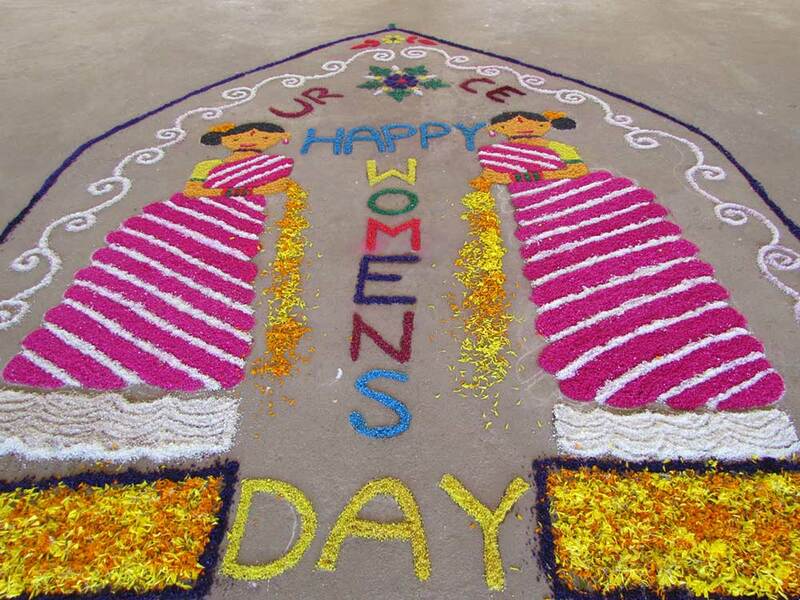 Chairmen, vice principal, Director conveyed their best wishes for all the women staff and students. 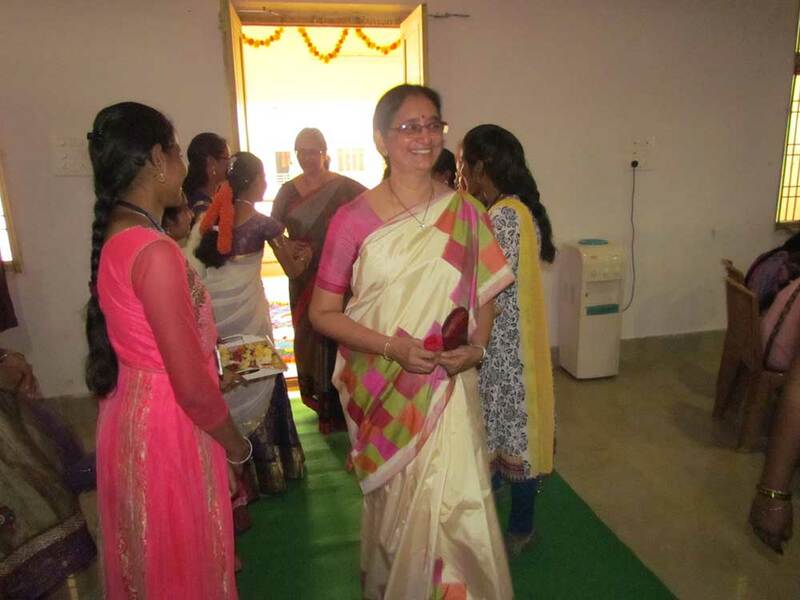 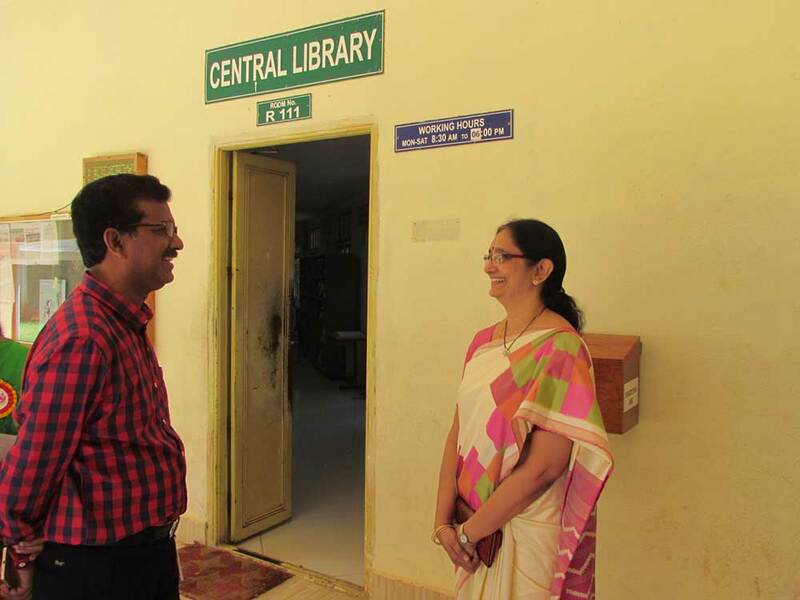 WEGC Convenor Smt.N.Vijaya said that URCET management is very much supportive for the women students and staff from the beginning, and students are very active in WEGC activities. 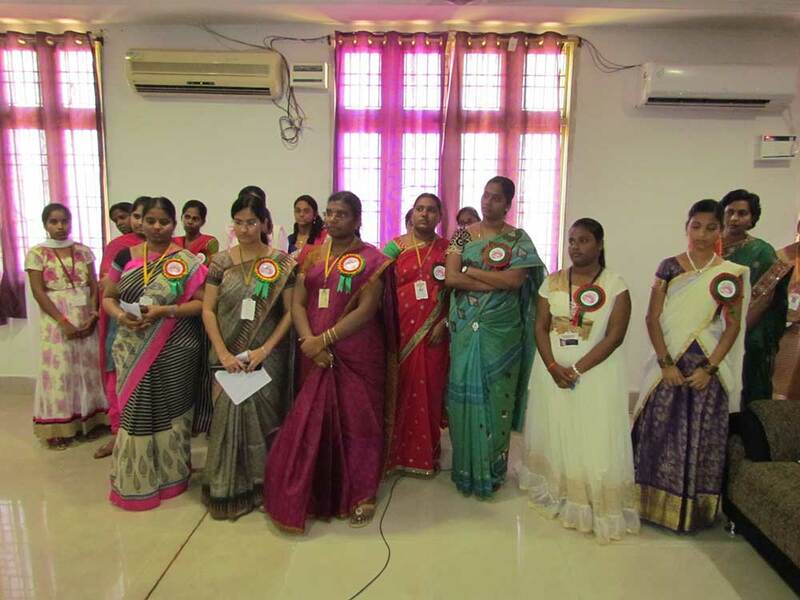 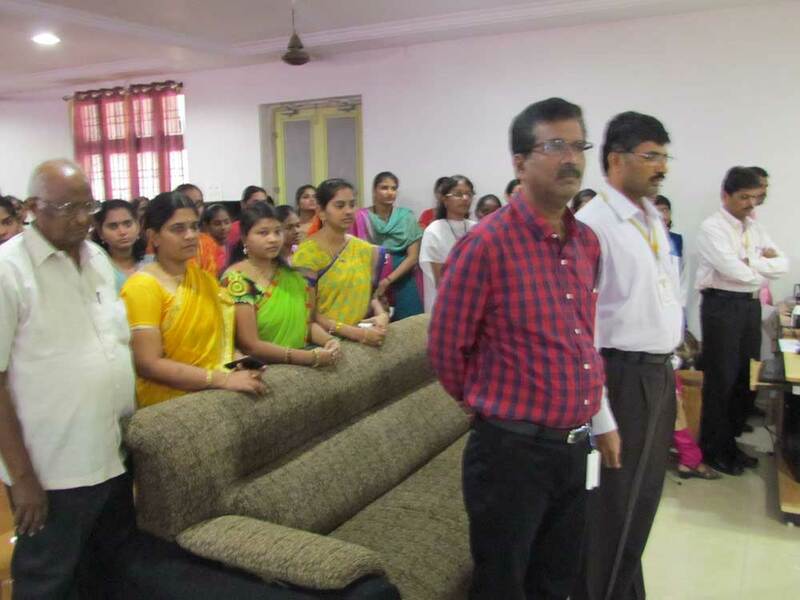 Faculty members Smt.R.Bhargavi (MechanicaDepartment) Co-Convenor(WEGC)&Miss.V.Anusha(CSE Department)organised formal meeting.Smt.K.Nitya&Smt.B.Usha (ECE,Department) conducted cultural programmes,I.Naga Mallika(S&H),Y.Salini(CSE)conducted indoor , out door games ,essay writing &debate competitions. 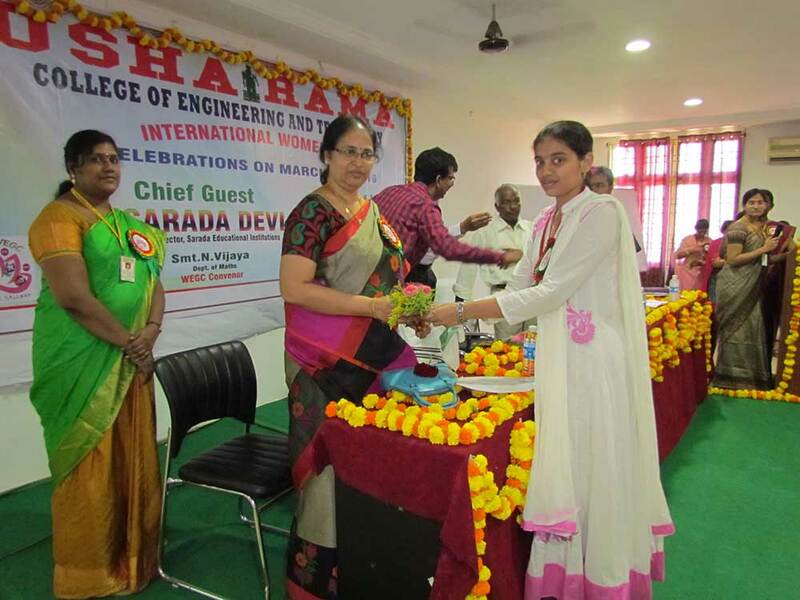 Smt.A. 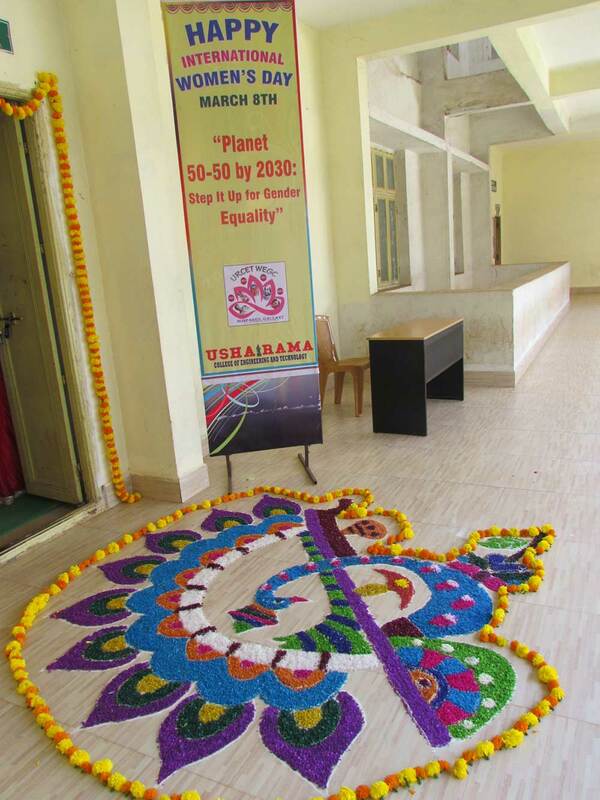 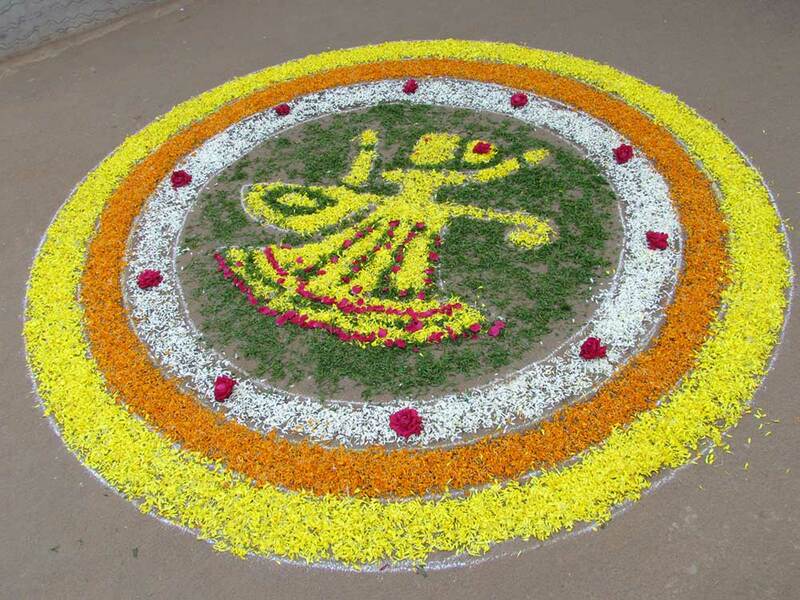 Durga Bhavani organised the decoration and rangoli.